K2M, Inc., looks like a company on a mission, appearing frequently our pages as it trumpets new devices for the treatment of complex spinal pathologies and minimally invasive procedures. Now the company has announced that what it is calling its “breakthrough” Rail 4D™ Technology will debut at the 19th International Meeting on Advanced Spine Techniques (IMAST) which is taking place right now in Turkey. K2M’s so-called 4D Technology will first be featured in the form of the MESA Rail™ Deformity Spinal System to address the most complex spinal curves. Inspired by structural I-beam geometry, the uniquely shaped and one-of-a-kind Rail is an alternative to the traditional round spinal rods offered with other products. The Rail provides enhanced structural rigidity, while maintaining a lower-profile than set screw based systems. Due to the beam-like shape, reducing the Rail Cricket devices will inherently result in rotation of the vertebral bodies as they are pulled up to the Rail. The design offers fixation options for surgeons by helping to apply forces during axial correction of difficult spinal curvatures. K2M also says it has the potential to reduce intraoperative rod “flattening” that is undesired by surgeons. 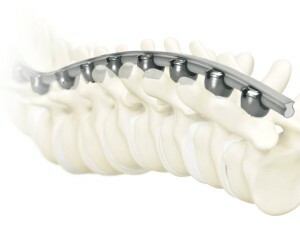 Furthermore the Rail may decrease the need for over-bending the construct and give surgeons more predictability and direct control over sagittal balance. K2M claims its 5.5 mm Cobalt Chrome Rail is 210 percent stronger in flexion-extension and 46 percent stronger in lateral bending than a standard 5.5 mm Cobalt Chrome rod. 4D technology is exclusive to K2M, as it has been designed to complement the company’s existing MESA® Locking and Cricket® Reduction Technologies. Oheneba Boachie-Adjei, MD, Chief of the Scoliosis Service at the Hospital for Special Surgery will be presenting on the clinical application of the Rail 4D Technology in a Hands-On Workshop at IMAST.